portable series has the power to deliver bright, high-contrast images in clear colours. It’s also lightweight, compact and easy to set up, ideal for moving between meeting rooms and offices. Even when picking an entry-level projector, there are a few basic considerations to keep in mind. Perhaps the most important of those is the projector’s brightness capabilities. Simply put, the higher the number of lumens, the brighter the image; and the more ambient light you have in the room when you watch, the more brightness you want. You’ll also want to consider the projector’s throw ratio, which explains how wide a projector’s image will be, given the distance between the lens and the screen. Also, make sure the projector you pick offers enough keystone correction and zoom ability to match your installation. WXGA projectors are widescreen, and usually a bit more expensive than XGA. These products are targeted for use with mid-range widescreen laptops, which often use 1280×800 natively. They are becoming increasingly common and are used as an inexpensive widescreen alternative to XGA. 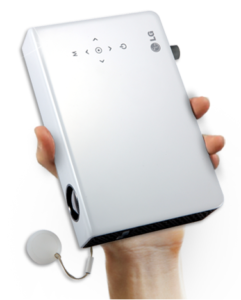 Wireless projectors allow you to display the data and video on your computer, tablet or receiver without running a single wire. (Well, you do have to plug the projector in. How these projectors receive the information varies. Some wireless projectors include a built-in wireless card. Others require an optional accessory, like a USB dongle. Some projectors use an app installed in your smartphone or tablet to display presentations and documents stored on your mobile device. Others work with your existing Wi-Fi network. Short throw projectors are used in applications where the distance to the projection screen must be minimized. Models are able to project onto a screen from as little as 1.5 feet away. These projectors come in both 4:3 and 16:9 aspect ratios and may include support for networking. 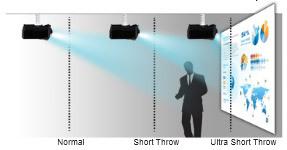 Short throw and ultra short throw projectors allow users to create big pictures in tight spaces, without concerns about shadows obstructing the image or light shining in the presenter’s face. These projectors have very short throw ratios, the distance from projector to screen compared to the screen size. 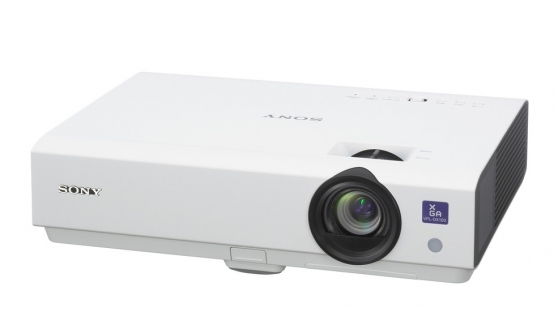 Short Throw and Ultra Short Throw Projectors make a great presentation partner for classrooms, offices and open-plan meeting areas. Enjoy big, bright images without having to site the projector far from a screen, whiteboard or wall. Engage your audience with Dual Pen Interactivity. Typically the presenter is allowed to interact with either the projected image, the projector, or in some cases another device. Interactive Projectors essentially mimic the function of an interactive whiteboard on any surface where the image is projected. This allows the presenter to interact with the projected image using an electric or mechanical stylus . simple insert USB memory to LED Projector without converting original file. Large Venue projectors are typically found in auditoriums, churches, theaters, trade shows, concerts, and other large venue events.. They are high lumen from 8000 – 20000 resolution xga, wxga, wuxga , 4k .projectors capable of projecting large images for a wide variety of content.